Set your child's mind in motion! 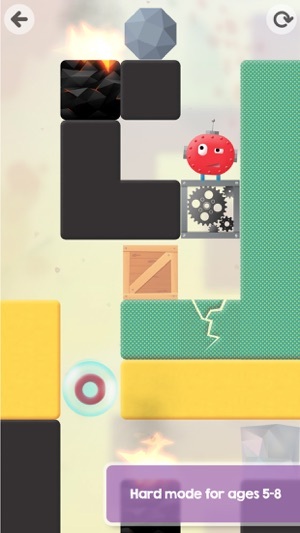 Thinkrolls are the 26 smart characters in this award-winning app that is part physics platformer, part logic puzzle game and 100% irresistible for kids 3-8. Get it now and let your little geniuses amaze you with their brain power and problem solving skills! 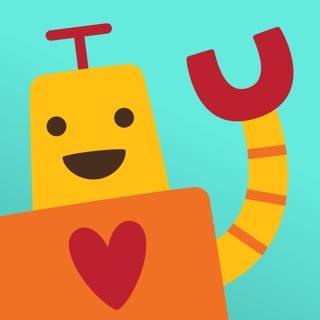 • Named one of the "10 Top Kids Apps of 2014" by USA Today! 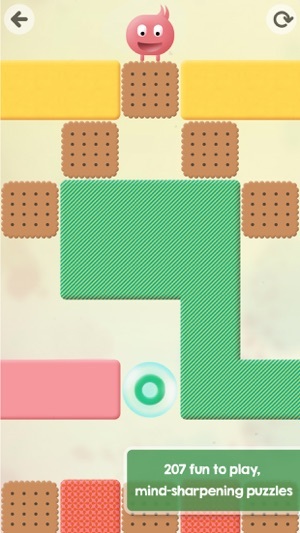 Have a blast navigating your Thinkrolls through a series of obstacles in brightly patterned mazes. The goal is to solve the puzzles and roll through the end of the maze where a new Thinkroll waits to be unlocked and lead the next quest! 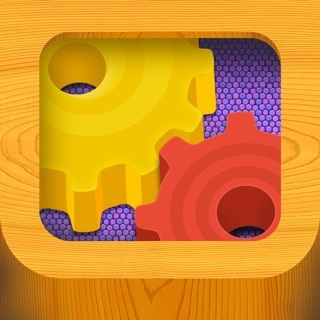 The app offers 207 clever puzzle levels filled with fun science concepts. Seven playful elements with unique physical properties are gradually introduced. Kids will discover through hands-on manipulation how to use these objects to their advantage and clear a path. • Cookies • Munch them to clear a path or resist those treats to avoid getting trapped! • Crates • Push them to fill gaps or stack them to reach higher ground. • Balloons • Burst them on spikes to get them out of your way. • Rocks • Get a crash course in Newtonian physics by dropping heavy, dense boulders to break through cracked ground. • Jelly • Bounce Thinkrolls and objects on springy jellies to launch them up. • Fire • Use ice blocks to put out the fire and safely pass through. • Elevators • Timing is added to the mix! 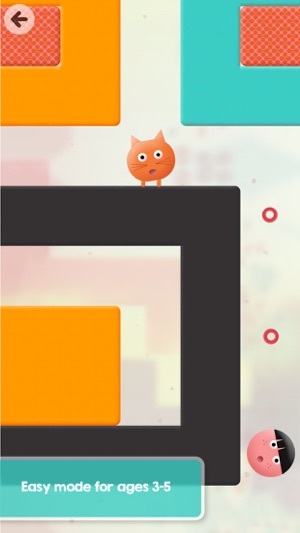 Synchronize movements of two different elevators to navigate through the maze. Little players will master the art of thinking while using to their advantage force, acceleration, buoyancy, heat, elasticity and gravity to reach the end of the maze. The puzzles gradually build upon successive science lessons to strengthen observation, creative thinking, logic, problem solving, spatial cognition and memory. There are unlimited tries and no penalties. 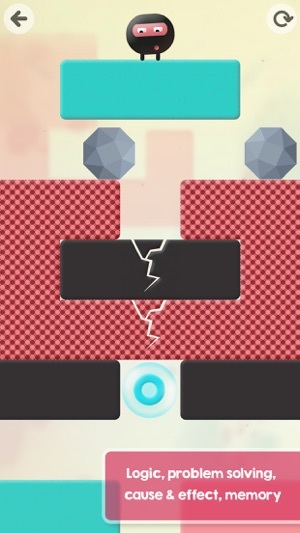 Thinkrolls not only challenges the brain but also develops and rewards patience and perseverance. As kids try different combinations to achieve their goal, they intuitively learn through trial and error what works. They must think ahead, use precise timing and rely on their memory to reunite their Thinkroll buddies. My four year old enjoys playing the easy level. She finds it challenging but not frustrating. I like that I can see her progress on a parent page. I also like that I can reset the levels so she can do them again. She likes unlocking the cute characters. I look forward to trying the harder mode after she does easy one more time. My three-year-old granddaughter loves this game and I love that it’s not just mindless entertainment! Whether I just need a little down-time, or bad weather is preventing outdoor play, I can count on this game to provide a fun way for her to hone her problem-solving skills while cuddling on the couch together. It’s exciting to watch her figure out the increasingly difficult problems!